16v Mini Club Forums - Guide to conversions - PLEASE READ BEFORE ASKING QUESTIONS. Guide to conversions - PLEASE READ BEFORE ASKING QUESTIONS. After lots of pm’s asking me the same questions about conversions I though I’d write this post explaining some of the most common ones. Please don’t fill up this tread with questions and comments, if you have a question please post it in the relevant section of this forum and please don’t inundate me with pm’s. Moderators- If this post is useful maybe it can go on the stickies, if not feel free to delete/move it! Ignoring the rare 1.1 16v and other 8v engines there are basically 4 different K series engines in three evolutions. The first evolution is the wet liner block which was only produced in 1.1 and 1.4 form, these are thought to be stronger than later engines due to more support around the top of the liners, these use either SPi injection in earlier engines or Mems 1.6 MPi injection in later engines. A lot of these also have low-port heads which are not as good for tuning as later high-port heads (more on this later). The Second evolution of engines (known as EU2) are in 1.4 16v (103bhp) , 1.6 16v (110bhp) and 1.8 16v (118bhp), and 1.8 VVC (143bhp) form. These are damp liner engines and are the most popular an easily available. 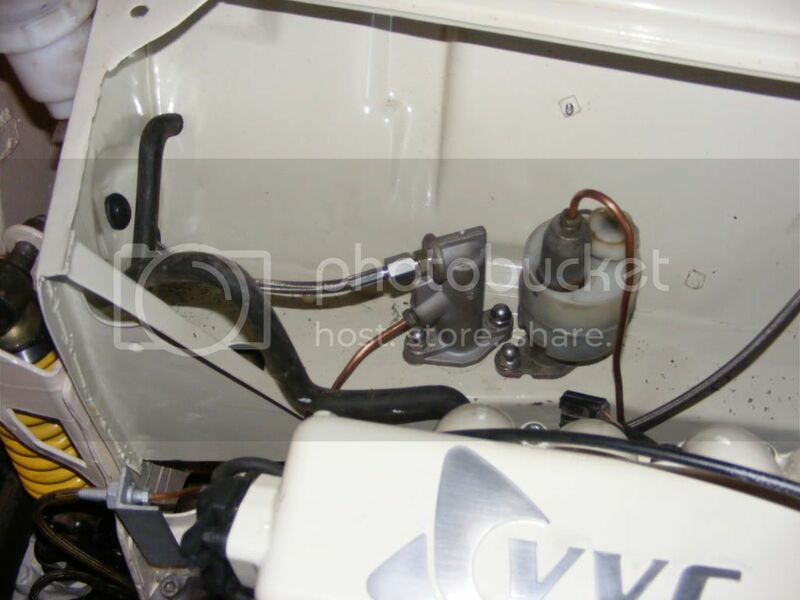 Identifiable by the distributor cap on the end of the engine and a plastic inlet manifold, except for the vvc which has no distributor and an aluminium manifold with ‘VVC’ on it. These engines run Mems 1.9 (Mems 2 for the VVC) Mpi injection and all have high port heads. The Third evolution of engines (known as EU3) are found in post 1999 cars in 1.1 16v, 1.4 16v (103bhp), 1.6 16v (110bhp), 1.8 16v (118bhp), 1.8 16v (135bhp, 1.8 VVC (143bhp), and 1.8 VVC (156bhp, known as the 160 engine). These are identifiable by a lack of distributor and a larger plastic spark plug cover (hiding a pair of coilpacks). 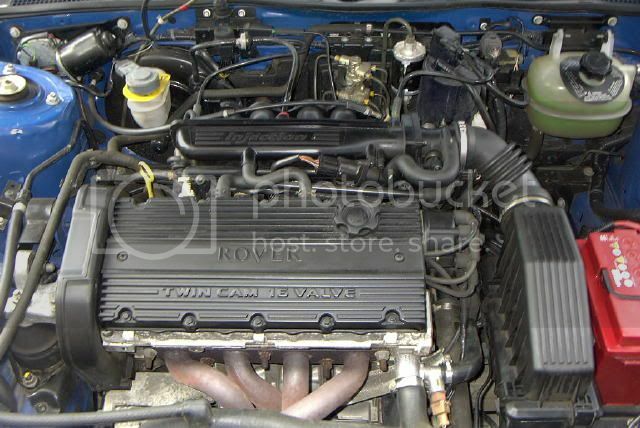 The 1.8 16v 135bhp engine is basically a 118bhp engine with some sportier cams, a vvc inlet manifold (with the lettering removed) and a larger throttle body, the 143bhp VVC engine is essentially the same as the 156bhp engine but with smaller throttle body, the standard 16v exhaust manifold and different ecu map. These engines all run Mems3 MPi injection (wedge shaped ECU). All parts from all engines are interchangeable with one or two exceptions. All blocks are the same and are interchangeable as are all the 16v heads. The 1.4 and 1.6 engines share the same crankshaft but the 1.6 uses the 1.8 pistons and liners with unique rods. The 1.8 crank has lager big-end journals than the smaller engines so can only be used with 1.8 rods and pistons. The EU2 vvc engines share the same bottom ends as the EU2 1.8 16v engines with single tang rods, but the later EU3 160 vvc engine uses stronger pistons and double tang rods, the EU3 143 engine uses 1.8 16v pistons the same as the EU2 engines but with the double tang rods. All the 1.8 stuff is interchangeable and the best set up for strength is the 160 pistons with EU2 single tang rods (bar going all out with forged pistons etc). 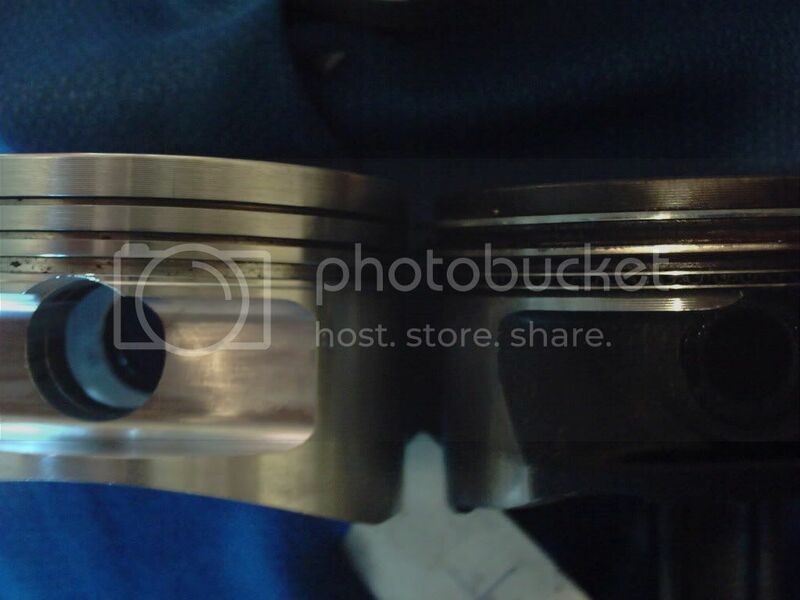 The EU2 pistons are fine up until around 160bhp and 7300rpm then the start to fail, the 160 pistons are believed to be good for over 190bhp and 8000rpm. The VVC heads can be fitted to any 1.6 or 1.8 engines either retaining the VVC mechanism and Mems 2 or Mems 3 ecu (or emerald ect) but not the 1.4 engines as the valves will hit the liners. 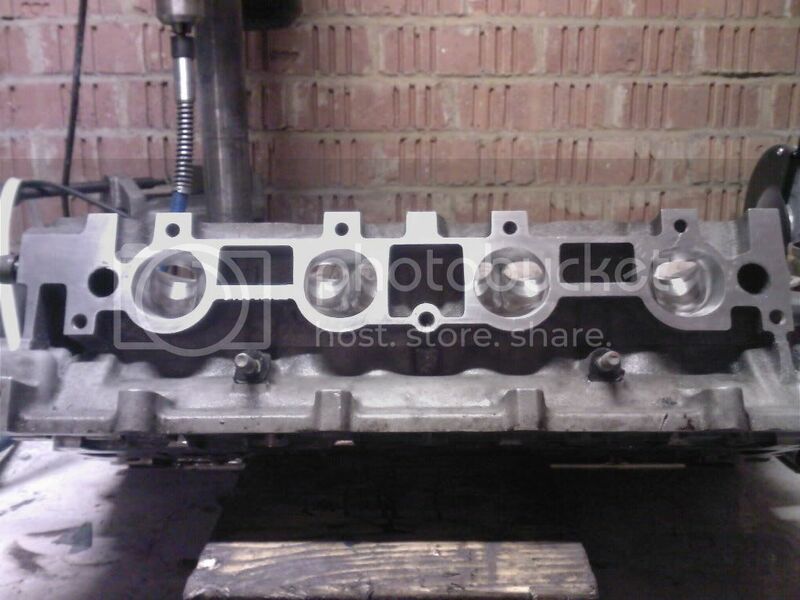 So basically if you have a 1.4 engine you are limited to the 16v head but you can fit 1.6 pistons, liners and rods and then the vvc head will fit, you could also fit the 1.8 pistons, rods and crank. Whatever you do you will have to use the correct ecu set up for your engine. If you are using the vvc head and mechanisms you will need to use a vvc ecu. You can use either the mems 2 vvc ecu or the mems 3 vvc ecu but will need the coil-on-plug set up for the mems 3 ecu. With the 16v engines if using a distributor engine (EU2) you will need to use mems 1.9, if using the coil-on-plug engines then you will need to use mems 3 ecu. All Mems 1.9, 2 and 3 ecus require a matched 5as (alarm immobiliser unit) to run, along with a matched key fob, it is best to get these all from the same car although there are companies which can mach up different ecu/5as combinations. There are two main types of gearboxes used on k series engines these are the r65 and the PG1. The PG1 is a superior gearbox in that it is very strong (some T16 turbos running 600bhp+! ), there is a good range of ratios available and LSDs are cheap, the R65 however is lighter and smaller and is already geared for 13” wheels (if from the metro). The PG1 is only fitted to 1.8 16v and 1.8 vvc engines and the r65 is fitted to all others. There are different ratios available for the PG1 gearbox and all internal parts are swappable with other pg1 gearboxes (as fitted to T series and L series engines). LSDs are also useable from the t series turbo cars and are a straight swap. The pg1 uses a unique starter motor and flywheel/clutch to the r65 and cannot be swapped either way. The PG1 can be fitted to the 1.4 and 1.6 engines but must be fitted with the pg1 flywheel and starter from a 1.8 engine. The R65 is also available in U rated (with stronger crownwheel fixings) form which have a variety of ratios from different cars and also needs to stay with an r65 flywheel and starter. LSDs were never fitted as standard to these gearboxes but they are available from specialist manufacturers. 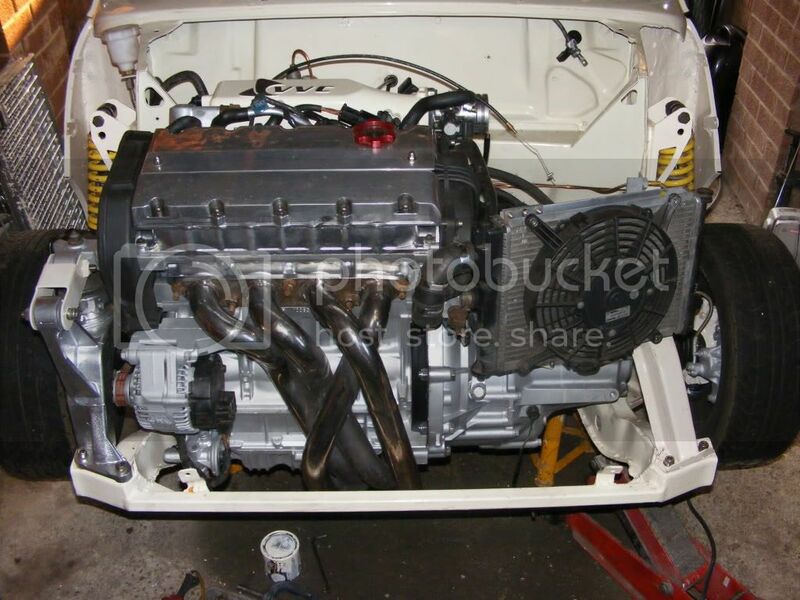 There are two main paths for frames when fitting these engines to minis, the metro frame or the modified mini frame. There are advantages and disadvantages to both of these and you need to think carefully before choosing which route to take. Firstly choose you final engine/gearbox combination as this can determine which frame you use. Generally using the R65 gearbox allows you to use a modified mini frame and the PG1 require use of the metro frame as it is larger. This is by far the easiest route to take, the advantages are you can use standard rover proven parts, build up the complete assembly and basically drop it into the car with bigger brakes, stronger suspension, bigger bearings and bushes and everything is easily and cheaply replaceable with stuff found in a scrapyard. The disadvantages are you loose the standard mini front, need to use metro offset wheels and Watsons spacers on the rear. If you are using the R65 gearbox you will need a complete metro frame and can use the metro engine mounts, driveshafts, hubs, wishbones etc as a complete unit. If using the PG1 gearbox then you will need MGF subframe arms (where the engine/gearbox mounts sit), mgf driveshafts, with metro hubs, brakes, wishbones and top arms. 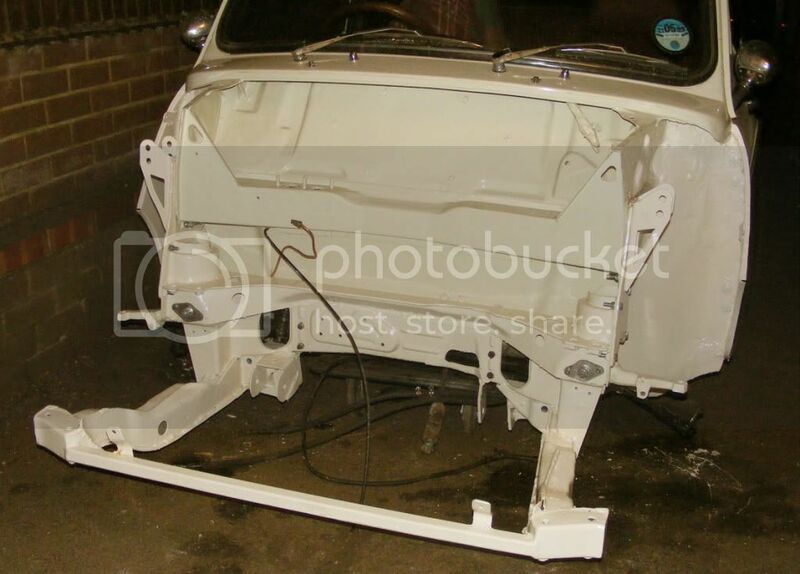 If using a metro frame you will also need to weld on a lower engine steady at the rear of the frame. The easiest option for the pg1 gearbox is to pick up a complete mgf rear subframe and swap some metro hubs, wishbones and top arms to it. Mounting the frame is relatively straight forward. You will need to make (or buy) two side plates which bolt onto the towers of the subframe and then to the damper mounting points on the mini (between 4-6mm thick steel). You will then need to make mountings for the rear of the frame to the mini floor, this can be either 2” box section steel welded to the frame with a flange welded to the end to sit against the floor of 6mm thick steel plate bolted to the underside of the frame to the underside of the mini floor if you can’t weld. 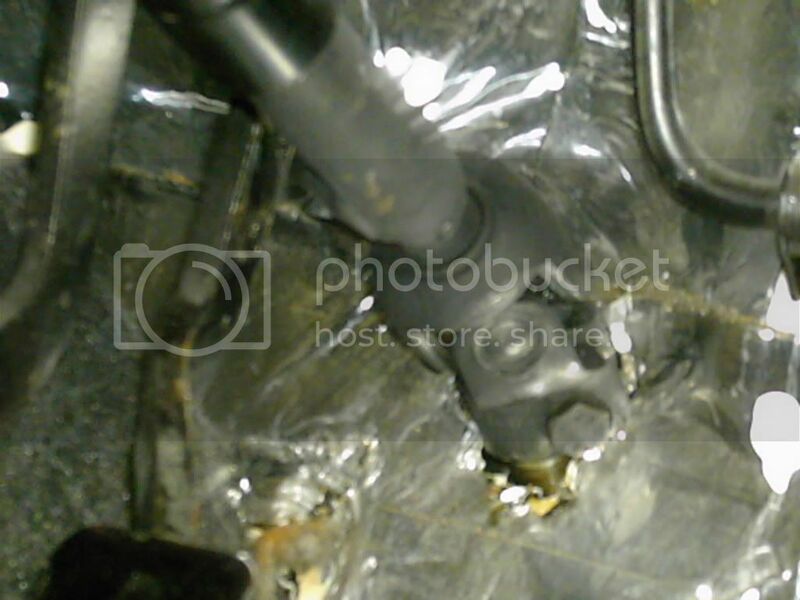 It is also a good idea to reinforce these areas of the mini floor with extra steel either welded to the outside of the floor or on the inside of the mini with the mounting bolts passing through. There is the steering column to consider, as with the metro frame you will be using the metro steering rack you will need to make a hole in the bulkhead for the spline to pass through and use either the metro column or modify the mini column. If using the metro column you will need to make mountings for it, if using the mini column you can use the original mounting but will need to drill out the end of the column, cut off the end of the metro column (the bit which bolts to the steering rack), press is into the mini column and the weld it in – only do this if you are confident in your machining and welding, if not then take it to a professional fabricator/machine shop to be done. Gear linkages can be taken from the metro in the case of the r65 box and the two rods can be cut down and re-welded to position the lever correctly. This is pretty straight forward. If using the PG1 then you will need to source a linkage from a PG1 equipped car and again cut down and re-weld the rods to suit. 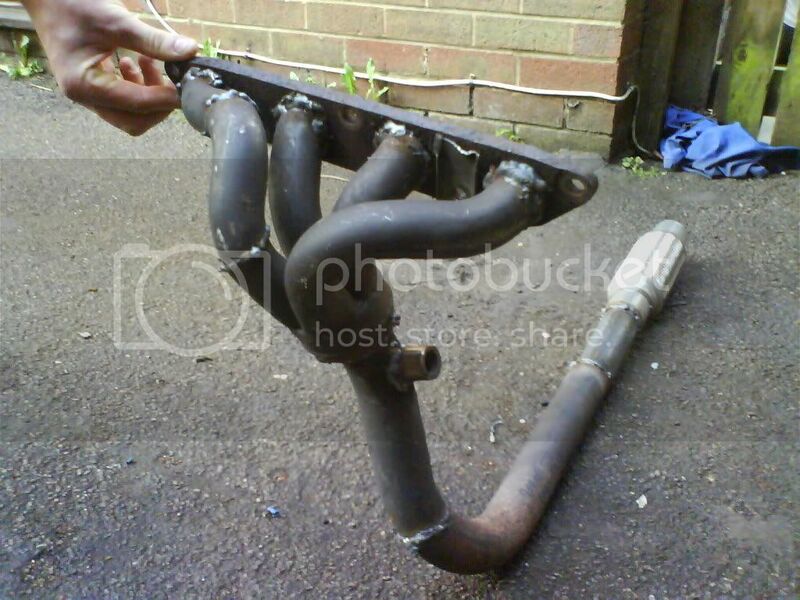 With the metro frame you can use the standard k series exhaust manifold and downpipe then weld or clamp your mini 2” link pipe to it, it lines up pretty well! The brakes will need sorting out as the flexi unions are metric and no doubt your mini ones will be imperial so new copper pipes will be required, you will also need to use either a single circuit mini master cylinder with remote servo or adapt a girling type 0.625” bore one to fit with no servo. The later mini servo won’t fit with the engine there. You will also need to fit minivan rear cylinders to stop the rears locking up. If you are using the Watsons subframe you will be supplied with mountings and suspension springs so everything bolts together nicely. 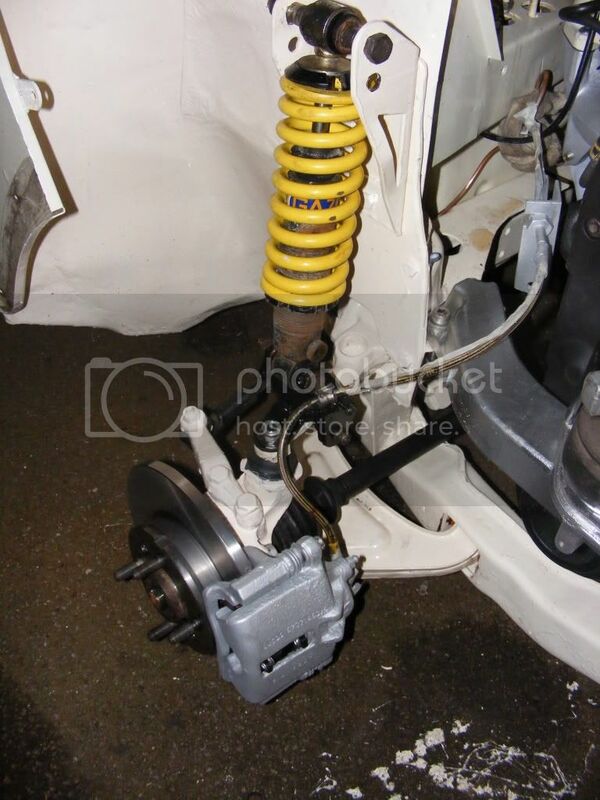 If adapting your own frame then you will need to use mini coilovers with between 400 – 550lb springs. You can use the mini coilover type top mounts but will need to fabricate the mounts on the top arms to replicate the mini type coilover brackets. Using the metro frame will require the use of an extended round nose or clubman front. 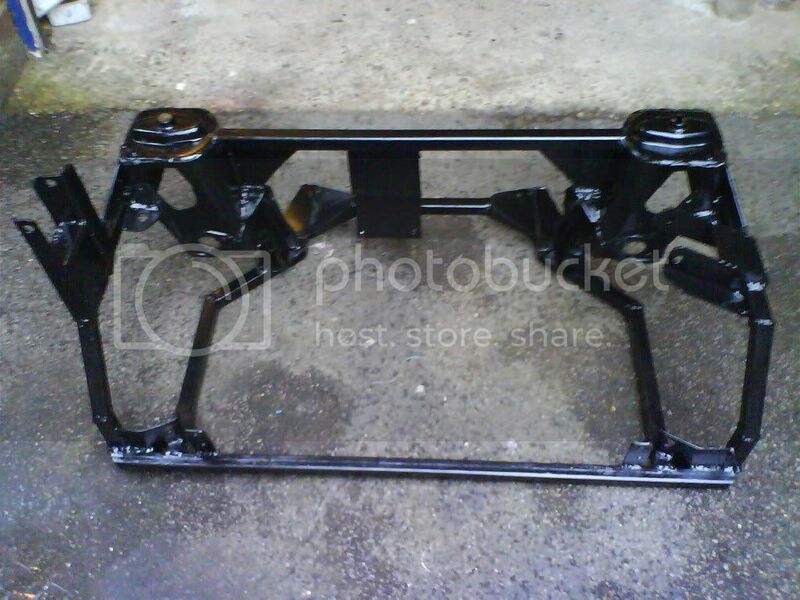 You will also need to modify either the front bar on the subframe or the valance to clear it. The clutch can be done either of two ways, the first way is to use the cable as in the metro (for the r65 boxes, rover 200vi etc for the PG1) and make a bulkhead piece and modify the pedal or convert it to hydraulic and use the mini master cylinder. This means making a mounting plate for the clutch slave cylinder and cutting the clutch lever and re-welding in a different position. 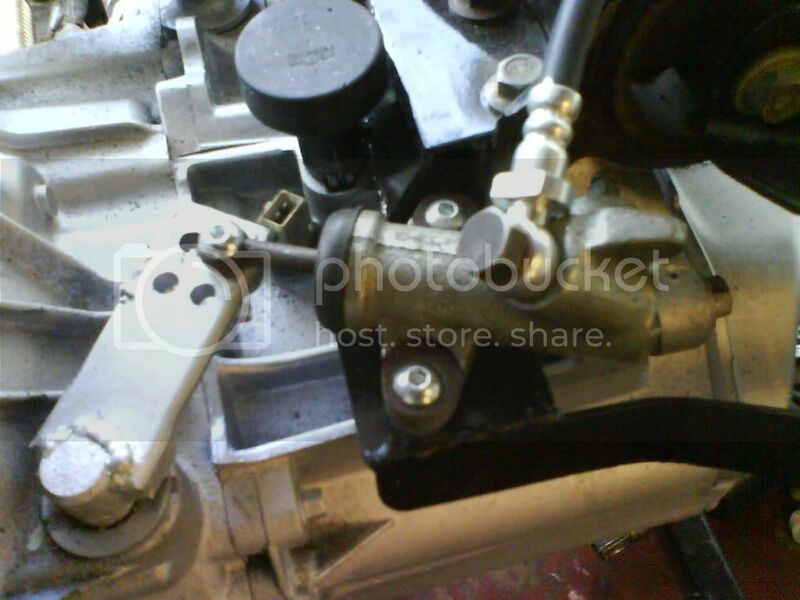 Or if you’re using the pg1 gearbox you can use the braketry and clutch lever from an MGF as these are hydraulic and either use the MGF slave or make a bracket and use the mini slave. 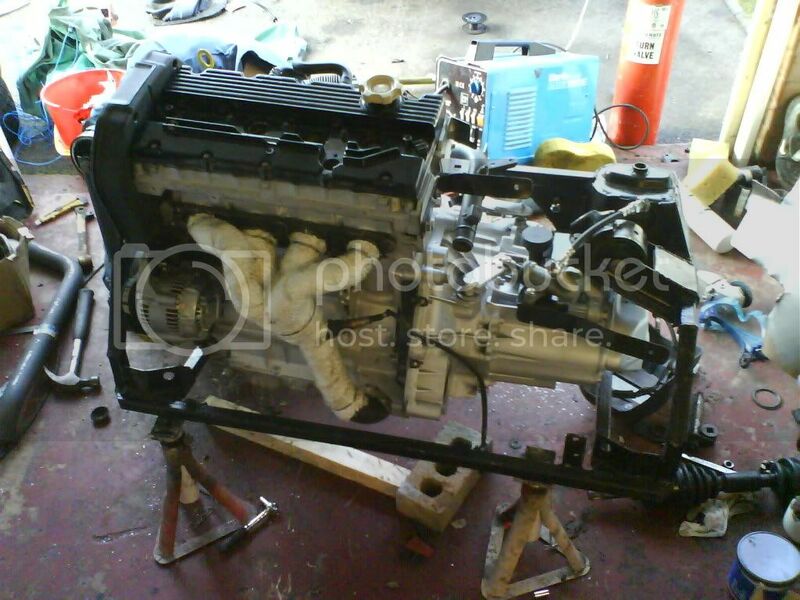 The fuel system will have to be modified to run the injection system unless you’re converting a later MPI mini. If you have a saloon then you can simply fit the mpi fuel tank and run two fuel lines to the engine, if a van or estate etc, you can either try and fit a injection pump (from any k series mpi car) into the tank or fit an external injection pump and plumb in a return pipe. I’m not sure what, if any aftermarket mini based frames are available for the k series engine (if anybody knows I will update this). So you will have to fabricate your own or buy a vtec etc based one and modify it. 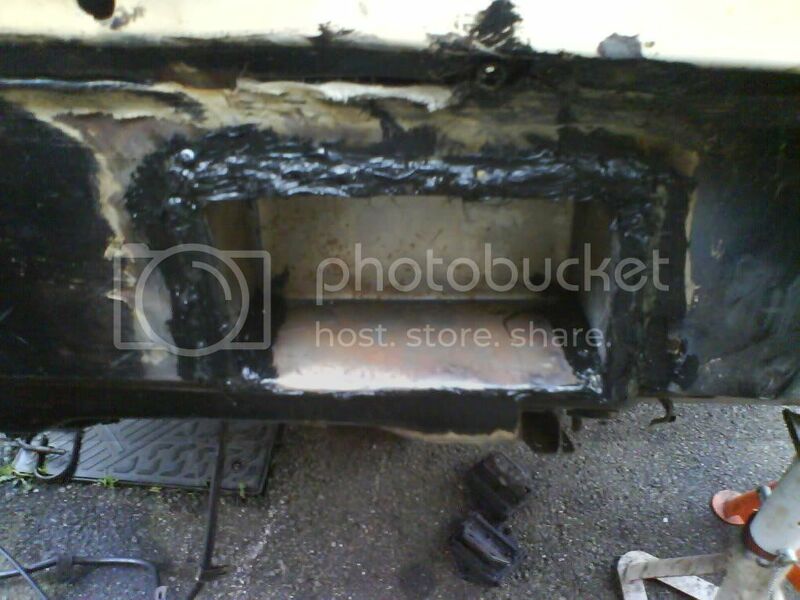 Either way you will need good fabricating and welding skills, this is no place for dodgy welding!. This set-up basically limits you to using the R65 box as the PG1 would be very difficult, if not impossible to make fit. I’m not going to go into loads of detail as to how to build the frame as there are loads of build diaries out there with plenty of pictures and info and if you are that unsure about it you probably shouldn’t be attempting it. This set-up will require modification to the oil filter housing/remote mounting, custom made driveshafts and modified/custom exhaust manifold, smaller alternator/custom mounts, custom water outlet, possible replacement starter motor as well as many other smaller issues (sometimes including re-positioning of master cylinders). Otherwise the rest of the installation (electrical, cooling, exhaust, gear linkages, fuel lines etc) are the same as the metro set-up, albeit with less room to fit it all in. Other possible problems with this set-up are, torque steer (due to shorter driveshafts), wheels fouling suspension/frame, accessibility, more stresses and strain on the suspension/hubs/cv’s than they were designed for and so on. The advantages are you get to keep the standard length front, mini offset wheels and the ‘mini’ feel in the steering (although the metro frame can be pretty similar with the right bits fitted). It may seem the disadvantages outweigh the advantages but I’m not trying to put people off this approach, just making you aware of what is involved so you can make an informed decision. I have done both conversions myself and for me I would choose the metro frame everytime for many reasons. I have a lot of questions about this and this is the bit which seems to frighten most people when actually it is quite easy. Firstly get yourself a copy of the Rover rave manuals on CD from one of the online auction sites etc, these have all the wiring diagrams neatly laid out as well as photos of each plug and connector on the looms. Now you need the complete engine wiring loom for the engine type you are using. Identify the engine harness to main harness connector plug on your loom and then identify each wire on this plug. Now look at the mini loom wiring diagrams and match these wires together, you’ll probably find most of the wires are even the same colour. I also have a sneaky suspicion that either the rover 100 mpi loom or rover 200 loom might plug directly into an Mpi mini body harness…. The rover mems system only needs a few wires to run, don’t forget you’ll also need to wire in the 5as system to allow the ecu to unlock. The k series is a pretty efficient engine at cooling itself and doesn’t require a massive cooling system. The Mpi mini radiator works well and the fan can be driven off the connectors in the rover engine loom, although you can use almost any radiator you like as long as it fits in the space. The best thing to do is measure the available space in your particular set-up then go down the scrapyard armed with a tape measure and find something suitable. You can then use this for building up mountings and routing hoses and replace it with a new one if you know what car it came from. There is an outlet on the head for both the radiator and heater and the returns are on the metal pipes at the back of the engine (under the inlet manifold). The main header tank inlet is also on this pipe towards the cambelt end of the engine. The header tank needs to be mounted as high as possible and must be the highest point in the system or you will get airlocks and coolant loss problems, the breathers/overflows run from the inlet manifold flange on the head (cambelt end) and from between the radiator outlet on the head and the radiator (rover 200s have an ideal T piece for this) to the header tank via a small T piece. The K series is a very tuneable engine and as with most engines the best route for more power is to fit the biggest engine possible. 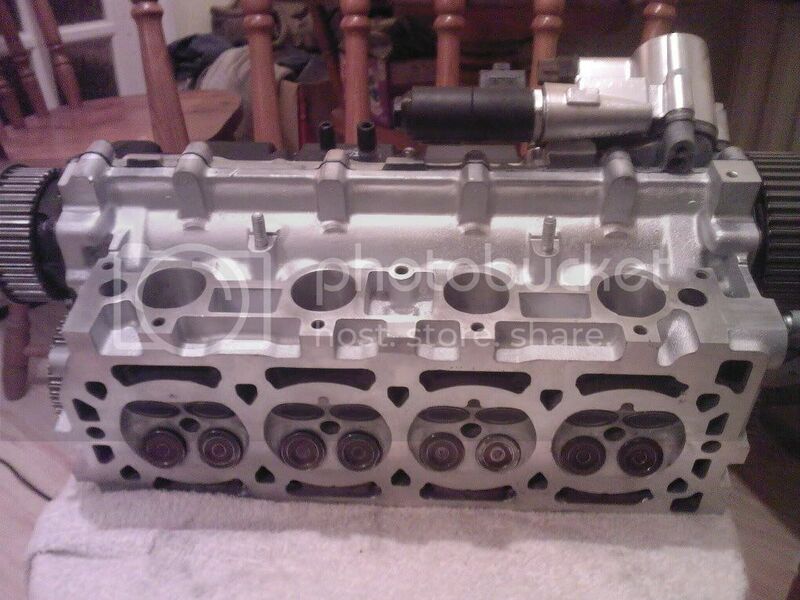 It is usually cheaper to insure a standard larger engine than a tuned small engine anyway. So assuming you are using the 1.6 or 1.8 engine the next step is to decide if you want vvc or not. The vvc is tuneable to around 170 – 180 bhp whilst retaining the Mems Ecu and VVC mechanisms through some porting work, larger throttle body, 4-2-1 manifold, performance airfilter and a piper exhaust cam. Upto 250bhp is possible If the VVC head is ported and uprated cams are installed instead of the VVC mechanisms along with throttle bodies and forged pistons etc, this will require an aftermarket ecu and mapping. The Normal 16v head can also be ported and fitted with larger valves and can be made to flow as well as a standard VVC head but still use standard cams (or cheaper piper/kent cams). You can go up to around 160bhp on the mems ecu before you’ll need to fit aftermarket engine management. But this is the limit of the non 160 engine pistons anyway. Nitrous can be used if used properly. Forged pistons are a must on 1.6/1.8 engines and you could probably run around 50bhp safely as long as the rest of the engine/gearbox are in good condition. If you have a 1.4 then the standard pistons should be ok with a 50bhp shot as these tend to be stronger as are the liners. This also makes it the best engine to choose if you are thinking about forced induction, although you will need to find a way to drop the compression reliably. I intend to keep updating this thread with more step by step guides and hopefully go into more detail to produce a comprehensive conversion guide, but I have limited time so please be patient! If there are any errors in what I’ve written please let me know and I’ll update it, also if you want to add your own guides please do. I have no responsibility for any damage, death or injury caused by work carried out by anyone reading this, this is only a guide so it is your own responsibility to ensure anything you do is safe and legal. My thoughts on the matter of engine choice. 1) Go for an EU3 engine. These are newer and comply with the odb2 standard. This means you can buy a cheap elm 327 type device and fault find the ecu yourself. 2) Do not de-ativate the 5as imobilisor. It is there for a reason and is very good at what it does. The electrics to get it working are not hard. Wiring diagrams are freely available on the internet or get hold of a RAVE CD. 3) With the right hardware the Eu3 ECU's can be remapped to allow for some tuning mods to be propperly rolling roaded! 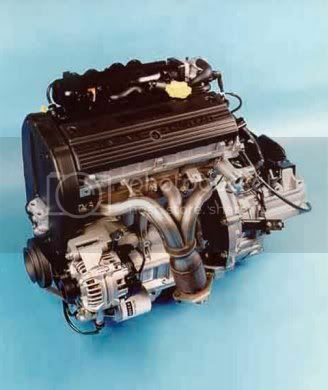 4) EU3 engines are generally found in the following: MGZR, MGZS, MGTF, Rover 25 and Rover 45. To be fully odb2 complient ensure the car is Newer then 2001 as some might not work on the elm devices if they are older then this! To be fully odb2 complient ensure the car is older then 2001 as some might not work on the elm devices if they are older then this! Should that read "no older than 2001" ? A point well made, post edited! ^^^ yes you need the rear subframe but you will need the front wishbones, hubs, brakes, top arms etc.. just swap them all onto the rear frame. you can use the mgf column or modify a mini column, either way i'd hold on to it. 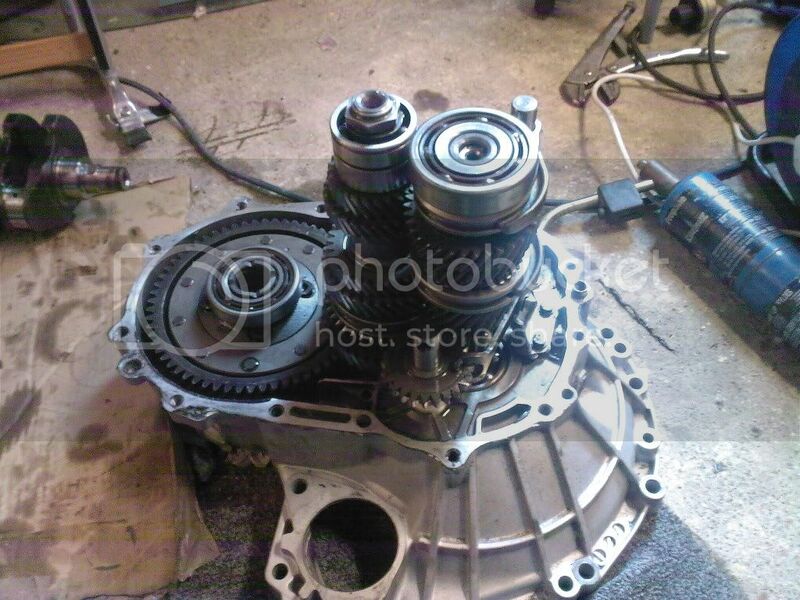 the PG1 is the best box to use if you can - if it's a vvc then the gearing will be too short, you need the mgf non-vvc 1.8 gearbox (the code starts c6). Hi mate,been along time since i last asked questions but heres another one.How much to make a frame for me,or the next time its out maybe a stenciled pattern.This is a big ask but would very much help me out.Thanks. Some great information Gazwad but despite reading it twice, I got it in my head that I needed an MG TF rear subframe. I subsequently purchased one and it now sits in my garage. Have I completely fecked up or can I still use it? No your fine, it's just you will now have to get some lower front arms and front brakes, the ones off an mgf give you 280mm disc's but you will need rover metro wheels to go over them. What size wheels where you intending using or are you staying with the wider track? Pretty sure I'm running 240mm mgf discs with metro 13s and there's no chance a 280s would fit. I will be running 13" wheels, not too bothered about metro OM wheels tbh, although a set would be handy for moving it about when I get to that stage. So I can use the upper arm from the TF? just to lower and hubs and brakes from an MGF or metro? After talking on PM with Colin he says he's wanting to use the suspension from the TF. I haven't seen that done before. 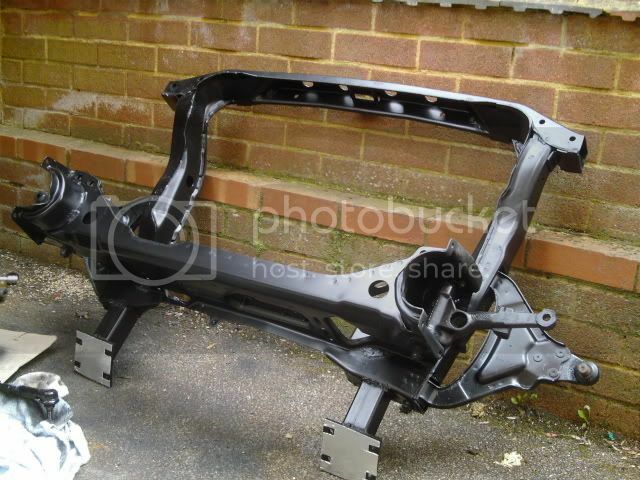 Also I said it was probably best getting a front subframe from a MG F with steering rack, suspension, hubs and brakes then adding the arms from the rear frame. He said this isn't what is in the guide. I agree so maybe Gaz could alter that. Metro wheels are getting hard to find. Maybe getting some steel wheels banded is a good option for a stock look.